Marble basin (kurna):first, fill the silver bowl with lukewarm water and pour it gently over your body. 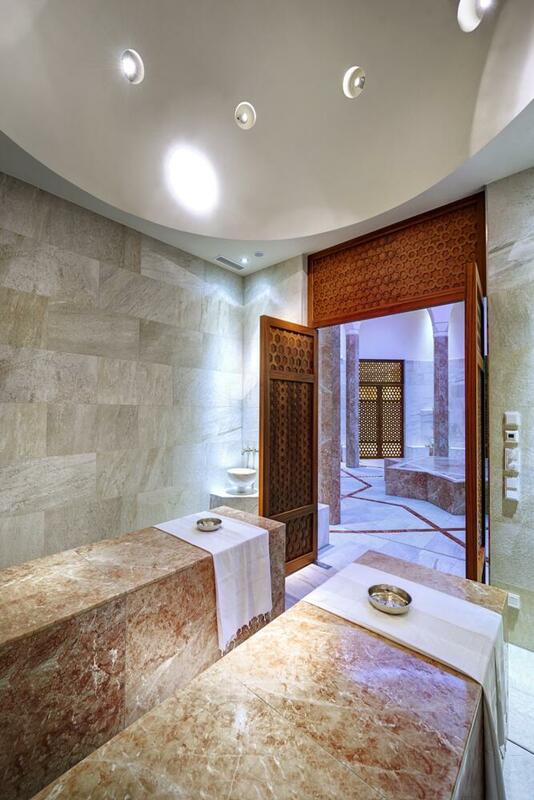 You can repeat this ritual as often as you like while you are in the hammam. Serail mud bath: allow yourself to acclimatise to the heat and high humidity, which opens your pores. Exfoliation room: scrub your body with the exfoliating glove in vigorous circular upward movements, and then lather up with olive oil soap. Leave the soap to soak into the skin, then scrub your body with the exfoliating glove. Finally, rinse off the remaining soap in the shower. Navel stone (heart of the hammam): Wrap yourself in your hammam towel and enjoy some wonderful relaxation on the heated navel stone. 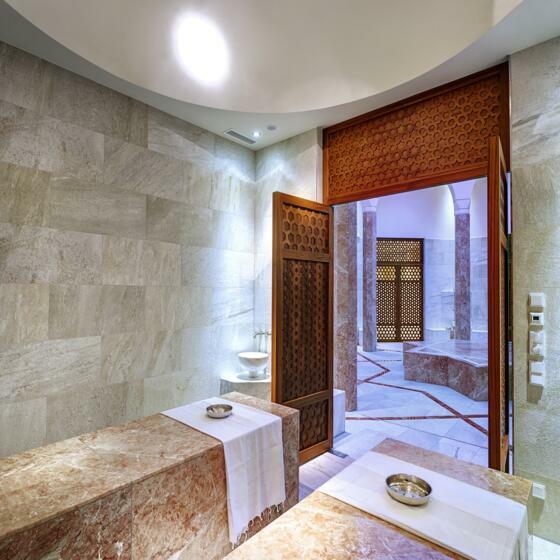 Conclusion: At the end of the hammam ritual, swap your pestemal towel for a bathrobe, breathe in the fresh air in the open courtyard and relax with a glass of tea in the Oriental tea bar. You will find an overview of our rituals here. 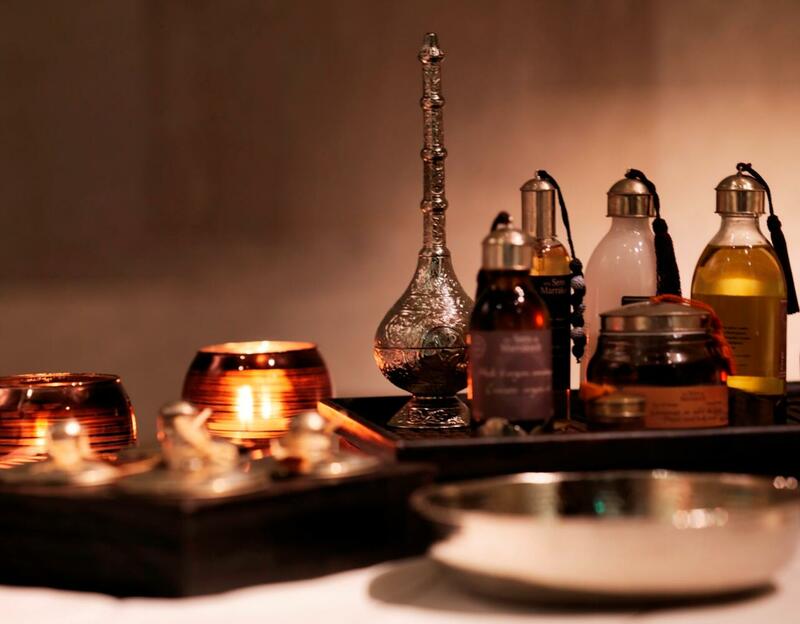 Embark upon a mysterious journey into the world of spectacular Middle Eastern rituals and Oriental bathing traditions. 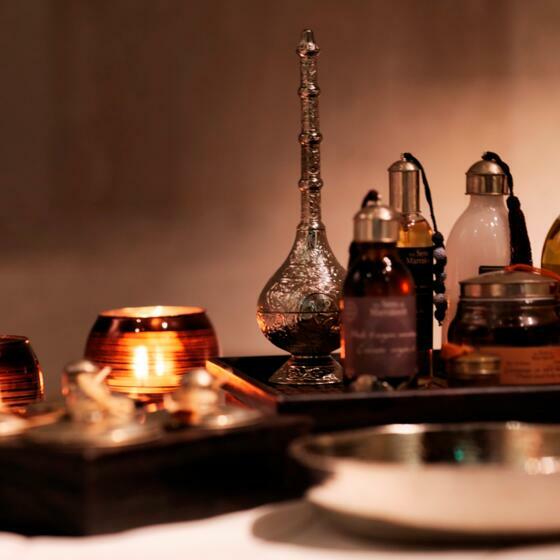 hammam – a true feast for the senses. Indulge in a cleansing partial body scrub with the exfoliating glove and a soothing partial body soap massage. Then relax with a pampering foot massage. Enjoy a very special hammam experience! Your skin is gently scrubbed with an exfoliating glove, then your body is covered in soft, light foam with a soothing soapy massage. This treatment is topped off with a wonderfully relaxing head and foot massage. Experience an Oriental cleansing ritual with exclusive black olive soap combined with a nourishing body scrub. Then relax into a full-body massage with scented oils. Dream of the exotic during a desert sand scrub while the luxurious argan oil mesmerises your senses and gentle strokes pamper your body. The highlight of this treatment is the soothing massage with hand-made herbal compresses.